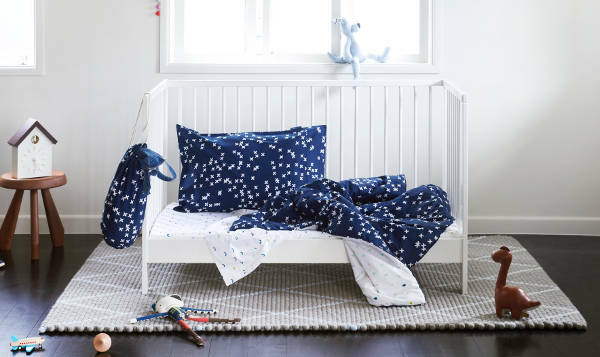 It’s fresh, it’s fun and it’s the very first collection from a trio of Aussie mums who’ve pooled their talents to launch a ridiculously good children’s linen line. 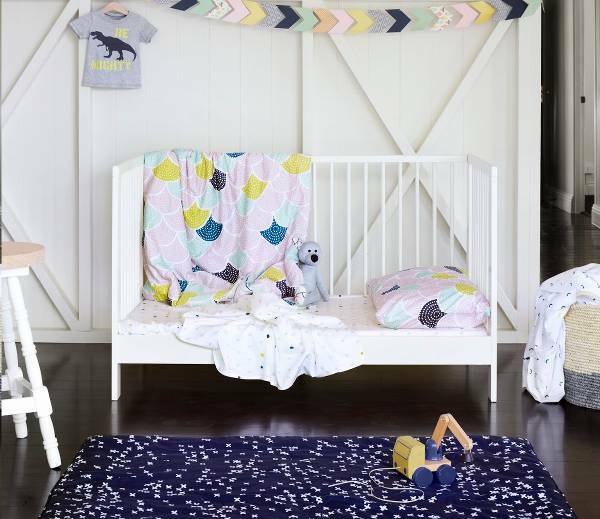 Alex, Erica and Jacinda say it was a “leap of faith” which led them to creating In Bed With Fred – a nursery linen collection created in collaboration with designer Kimmy Hogan. They are understandably thrilled with this first collection, and so they should be. 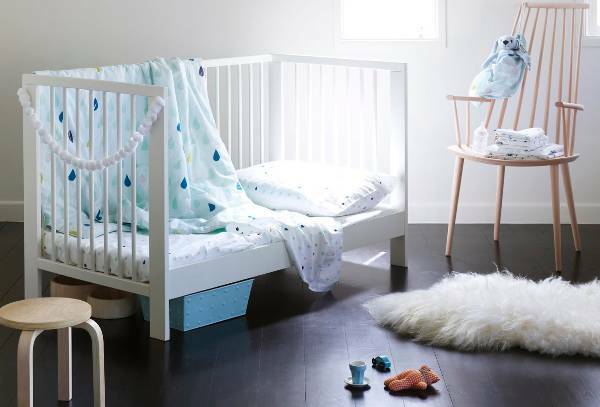 All of the products are designed in Australia and made in India with the best quality linen available. 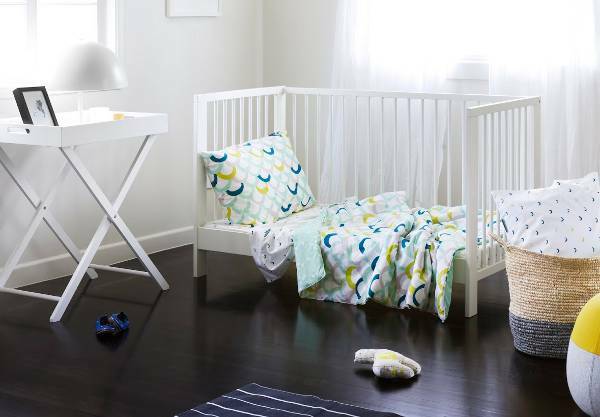 The designs are fun and the colours well thought out, so they can work with most nursery themes. I love Cross My Heart (at the top of the post), with its very modern cross design. Puddles of Fun (below) is also a great whimsical option. The great thing is that the quilt sets are reversible, with another great design from the range on the reverse side. They cost $119, and come with a pillow case. The sheet sets, which are designed to complement the quilts, are $99, and available directly from In Bed With Fred.